It’s getting hard to keep up with the Xiaomi smartphone line with new models appearing almost every month. 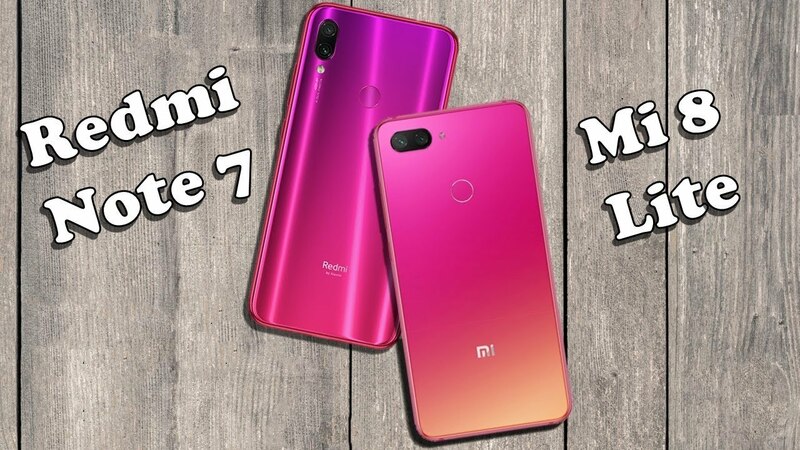 Maybe this is why the company has decided to set one of their sub-brands free — the Redmi Note 7 is the first phone officially released by Redmi as an independent brand. 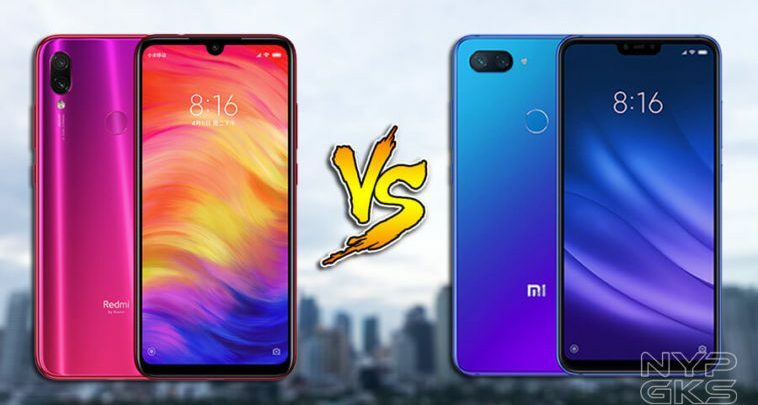 In this post, we take a look at the new Redmi Note 7 and the Xiaomi Mi 8 Lite and see how the two smartphones compare. 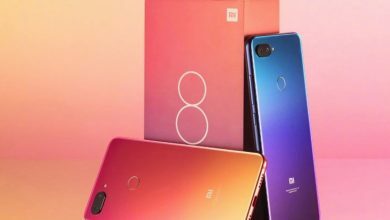 First, let’s take a quick look at the specs of Redmi Note 7 and Xiaomi Mi 8 Lite. The Redmi Note 7 definitely takes a notably different approach to design than most other Xiaomi phones — and this may be on purpose and a way to set the new line apart from the Mi series. 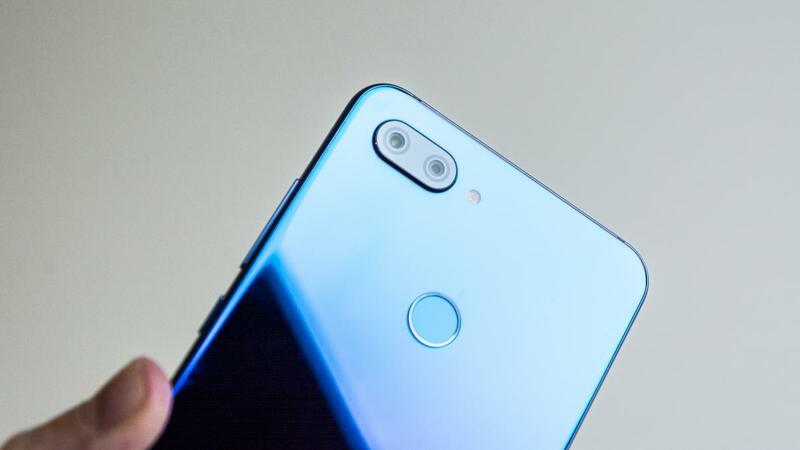 The Note 7 comes with the smallest notch we’ve seen on Xiaomi phones: there is a miniature waterdrop camera holder on the phone’s 6.3-inch FHD display. The design is strongly reminiscent of Oppo, Honor and Vivo models. The display comes with 2340 x 1080 resolution, 19.5:9 aspect ratio and 409 pixels per inch. Another highlight is that the Redmi Note 7 adopts 2.5D curved glass on both the back and front. There are three colors available: Twilight Gold, Fantasy Blue and Bright Black colors in China. Connectivity-wise, everything is quite classic: you get an IR blaster, a fingerprint scanner on the back, a USB-C connector and a headphone jack. 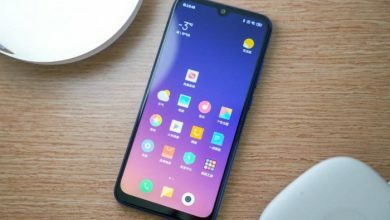 The Xiaomi Mi 8 Lite comes with a 6.26 inch, 2280 x 1080 FHD+ screen with a much more noticeable rectangular notch — so, if you are not a fan of these, the Note 7 would definitely get points over the Mi 8 Lite here. The thing that the two phones have in common is the ambition to give us a bezel-less screen. With the 82.5% screen-to-body ratio for the Mi 8 Lite and 81.4% screen-to-body ratio for the Note 7, the two devices come quite close. Both smartphones come with the mid-range Qualcomm Snapdragon 660 Octa-Core processor under the hood. The Note 7 starts with the basic model sporting 3GB of RAM and 32GB of storage and there are two more options to consider: 4GB RAM + 64GB of storage and 6GB RAM + 64GB of storage. With that, there is also the option of expanding the phone’s memory with external storage on an SD card — up to 256GB supported. The Mi 8 Lite, on the other hand, comes in one variation: 6GB of RAM + 64GB of storage. Unfortunately, there is no option for memory expansion on an SD card. The Note 7 continues to impress when it comes to charging: there is a 4000mAh battery onboard and fast charging support (Quick Charge 4). 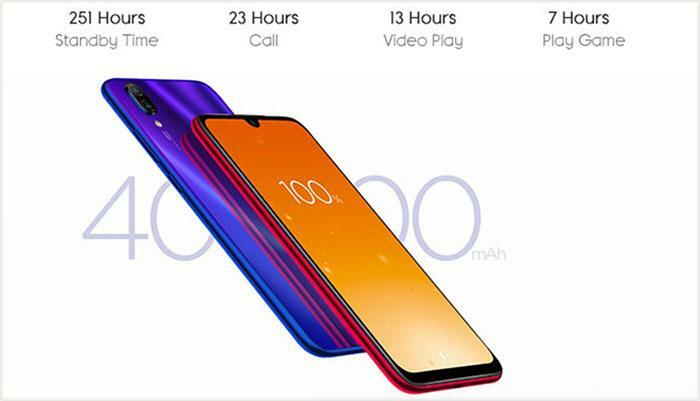 You should be able to get the phone from zero to a full charge in 1 hour and 43 minutes with standard charging — but if you get the fast charger (sold separately), you will be able to speed things up with the 9V/2A charging option. The Mi 8 Lite features a smaller 3350mAh battery. There is also the fast charging option enabled via Quick Charge 3.0. 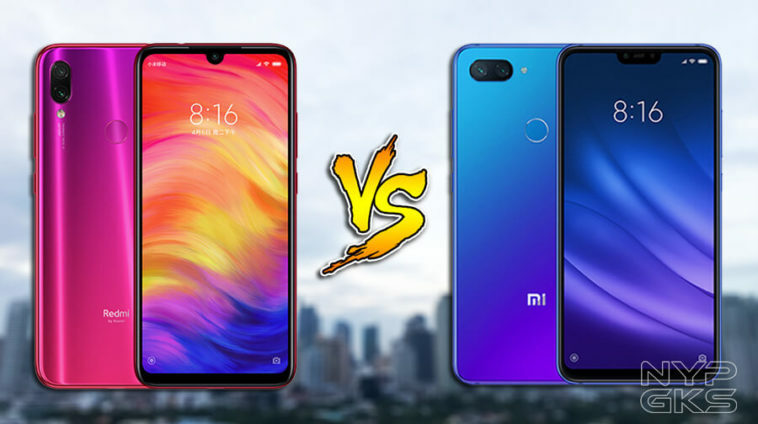 Redmi Note 7 vs. Xiaomi Mi 8 Lite: can you really beat 48MP? Cameras is where the game is really on when it comes to smartphones these days — and the Note 7 does bring some serious game to the table. The phone features a 48-megapixel camera on the back with a second 5MP rear sensor with f/1.8 aperture. This would be quite impressive even on a high-end device (like the Honor View 20)— but as the Note 7 is marketed as a budget phone, there is a true sense of value for money here. The cam comes with auto HDR, double flash, electronic image stabilization, PDAF and more. On the front, you get a much less impressive 13MP selfie shooter with AI Portrait Mode, background blur, Smart Beauty Mode, front HDR and more. 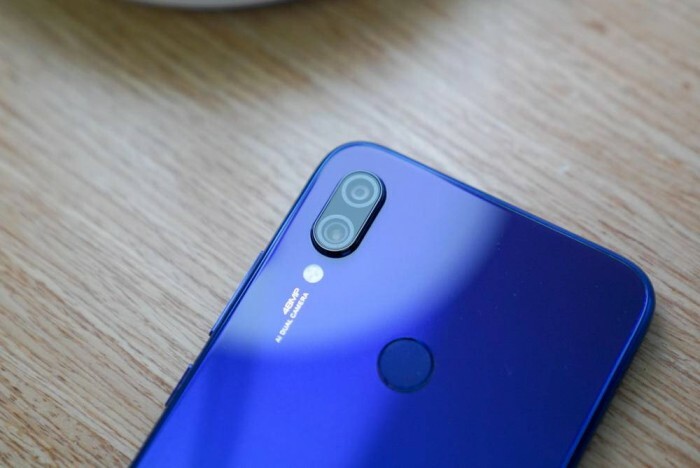 The Mi 8 Lite comes with a much more modest rear camera setup: you get the pretty standard combo of a 12.0MP and a 5.0MP sensors on the back. 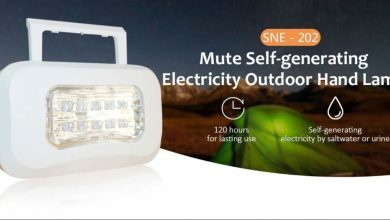 On the front, however, there is an impressively powerful 24MP selfie shooter sporting the high-end Sony IMX 576 sensor, AI makeup and other enhancers. The Redmi Note 7 is definitely an impressive phone. And what makes it even more impressive is the $260 price tag. 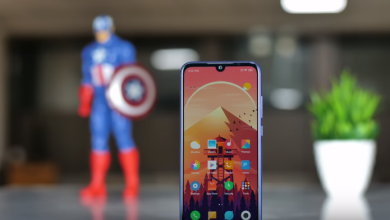 Compared to $229.99 you will need to pay for the Mi 8 Lite, the Note 7 does seem like an incredible bargain — and, with that, Redmi’s debut on the market seems very promising.